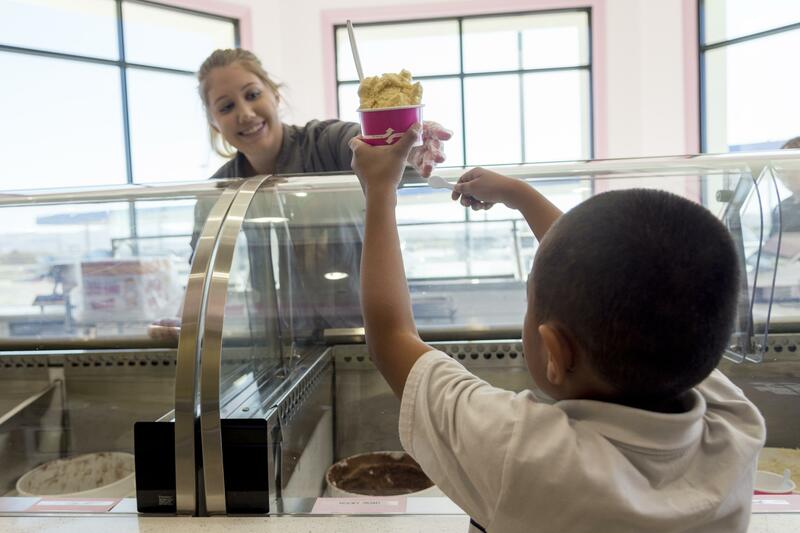 The 27,000-square-foot candy factory, ice cream parlor, gas station and eatery is now open and promises to put a smile on the faces of both adults and kids alike. Eddie World has accumulated close to 500,000 Facebook video views since its Jan. 8 soft opening. 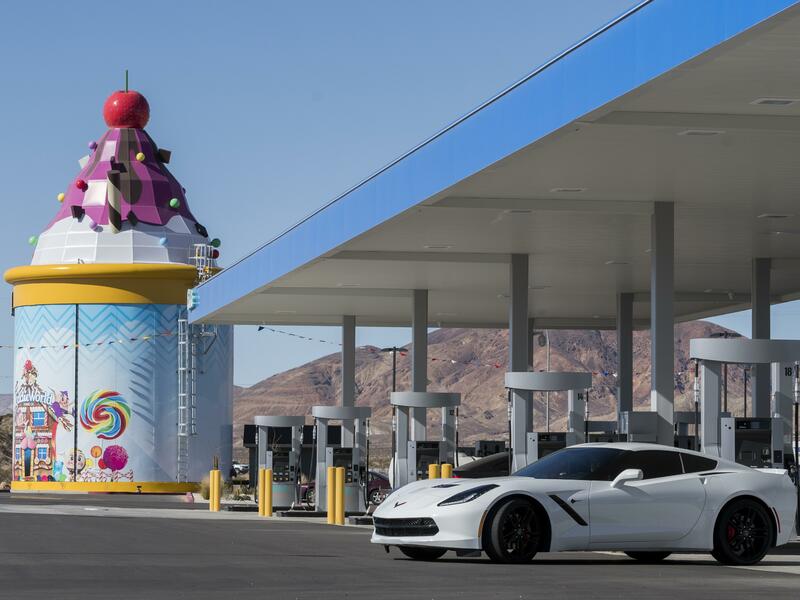 As the halfway mark between Los Angeles and Las Vegas, Eddie World offers 26 gas pumps with 18 Tesla supercharging stations. Ice cream and popcorn are made onsite, along with hand-prepared pizza, salads, sandwiches, sushi and poke. Executive chef Miguel Jaimes manages the restaurant. 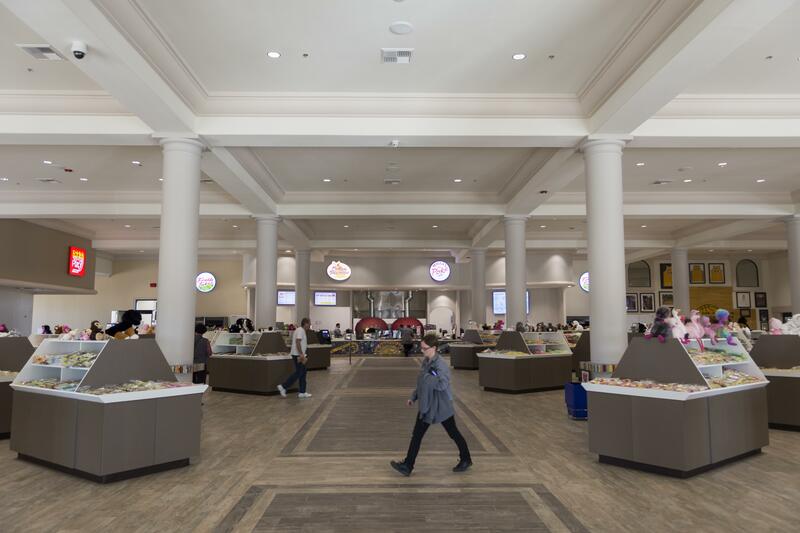 Eddie World Site Administrator Dee De Crigler said the center of the facility is filled with candy, dried fruits and vegetables. An edible 3D gummy printer can make “pretty much anything you can imagine” within minutes. Coffee machines from Switzerland don’t grind coffee beans until patrons push a button — what Ringle describes as the freshest cup of coffee. And Ringle didn’t forget about one of the most important features of a gas station — the restroom. “Our entire business model is built around the cleanliness and opulence of our bathrooms,” Ringle said. New interactive technology in the men’s urinals senses when a patron is near and allows them to earn points by shooting tanks while relieving themselves. For sports fans, there’s a wall featuring the original basketball court from the Great Western Forum surrounded by Lakers memorabilia. This second location of Eddie World — the first is in Beatty, Nevada — has been in the works for five years. Ringle says the sudden death of a general manager forced him into the family business. 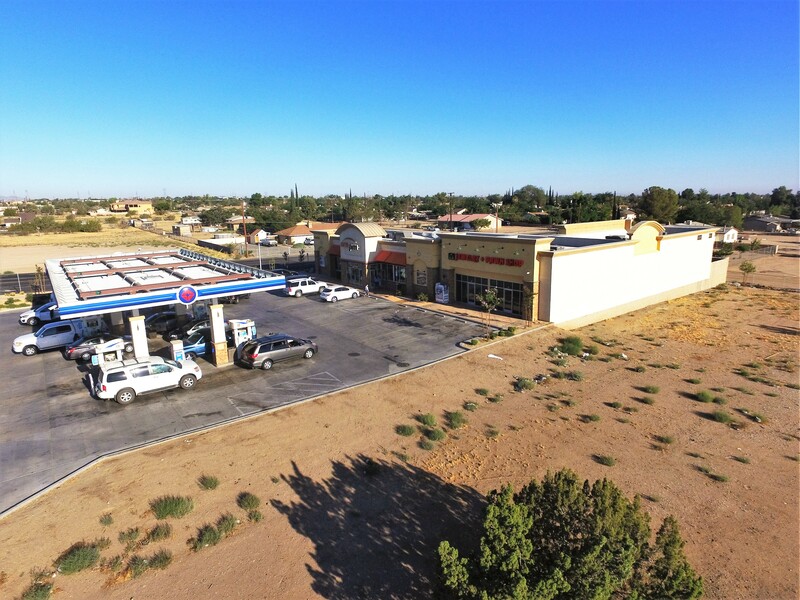 He feels the Yermo Eddie World is going to give the area new opportunities and more awareness of the town’s location. 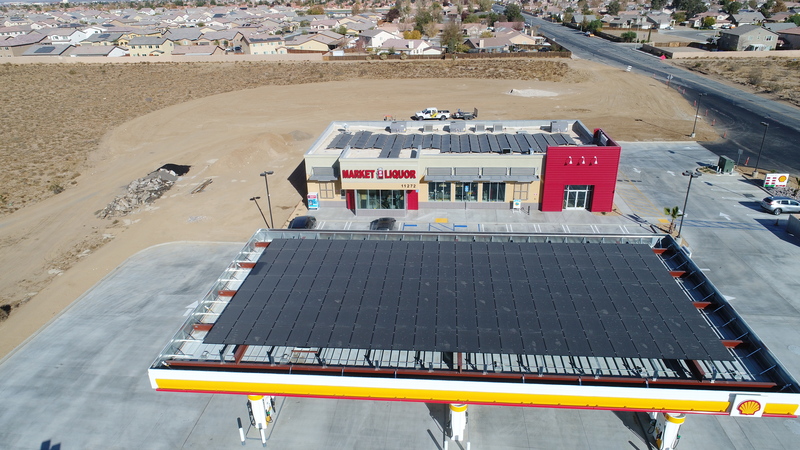 A grand opening celebration is scheduled for March 21 where vendors, sponsors, radio and news stations, and the public will be invited to make it a special day. 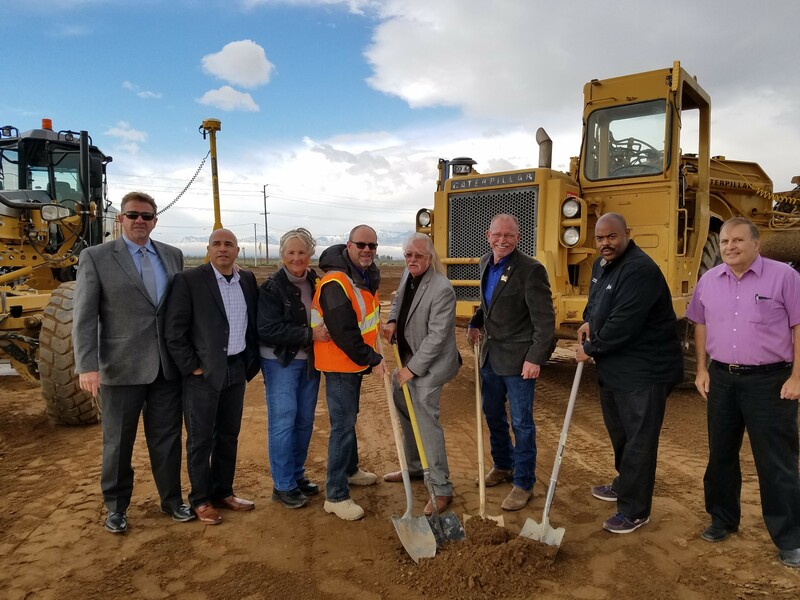 The Eddie World Yermo Facebook page will be updated weekly on the upcoming celebration.